Just as we learn how to cook or how to drive, we must learn how to be a good parent and a good partner. There are several agencies that can help you build those skills in order to enjoy positive relationships with your family. For example, Parent Academy is a program sponsored by Family Ties of Westchester that provides several types of training including Common Sense Parenting, Strengthening Families, Managing Family Conflict, and Goal Setting. 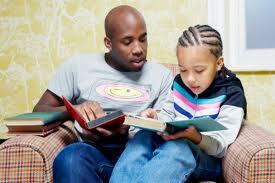 Services are provided in Family Ties Centers in Mount Vernon, Peekskill, Port Chester, Ossining, and Yonkers. All parents are welcome. For more information call Kerry Wegley at 914-358-4394 or email kmegley@familytieswestchester.org. Other agencies with services for families are listed below.